Running the Race: Hello, Club 50! Almost two years ago yesterday, on 8 March 2014, I did my very first parkrun in Green Point, Cape Town while on holiday there. J Bear was 11 weeks old at the time, so I was still easing back into running after his C-section, but, with the encouragement of the lovely Philippa from Run Cape Town, I huffed and puffed my way around the beautiful 5 km course - and loved every minute. Miss K, me and Philippa after completing Green Point parkrun. We lived in Bloem back then, so upon our return home I immediately started looking for a local parkrun to join. Sadly, Bloem still didn't have one, but I was delighted to learn that Naval Hill parkrun would kick off on 3 May 2014. And of course, two parkrun-less months later, I found myself at the inaugural Naval Hill parkrun with 70 or so fellow parkrunners on a cold winter's morning, thrilled to hear - during Bruce Fordyce's pre-run briefing - that parkrunners who complete 50 parkruns become a member of Club 50 and get a free technical t-shirt to celebrate the occasion. Free running gear? I was hooked. 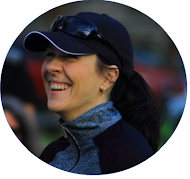 The pre-run briefing that changed my life. 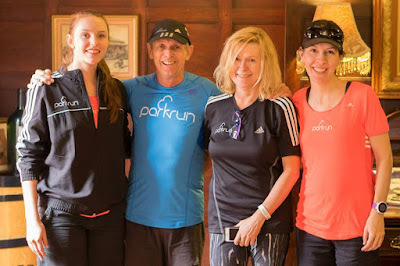 So what do you do when you move to a town that doesn't (yet) have a parkrun? You help get one in place, of course! 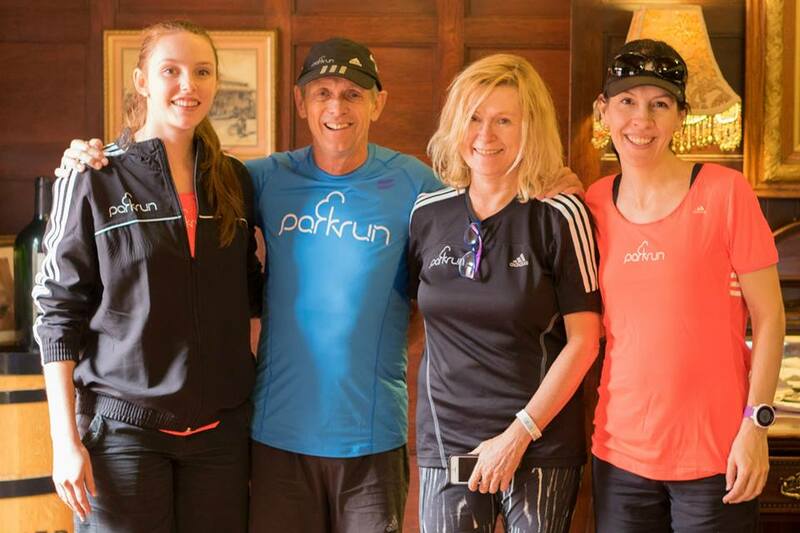 And so, six months, many meetings, and a few sleepless nights later, Kimberley parkrun finally saw the light on 21 March 2015 - my new happy place! And this weekend, almost two years after my first parkrun in the beautiful Mother City, I finally earned my technical t-shirt: I clocked my 50th parkrun. It was perfect: A cool, cloudy, windstill morning; my two favourite running compadres in the double stroller with me; bestie Tanya there to share the moment; and high fives and congratulations from so many new parkrun friends. Best gift (and friend!) ever! Onwards now to Club 100! awesome! well done! what do you get if you get to a 100? Good on you for started up a new parkrun and congratulations for reaching 50. Thanks so much! A life-changing fifty weeks for sure :) . That's really interesting and I've heard a lot about the Park Runs. I wish they were closer because it seems like such an awesome idea. Congrats on reaching 50 and cheers to reaching 100! Congrats on your 50th parkrun! That's awesome! All your pictures look so warm.. I am so ready to run in shorts again! Shame, yes, I don't think us South Africans really have any idea what a seriously cold run is (-4 degrees Celcius is about our coldest) - hats off to you! !